Jeffries P. (Peter) Met., Geomag., Glacio., Seismo. + MacDowall J. (Joe) Met., Geomag., Glacio., Seismo. 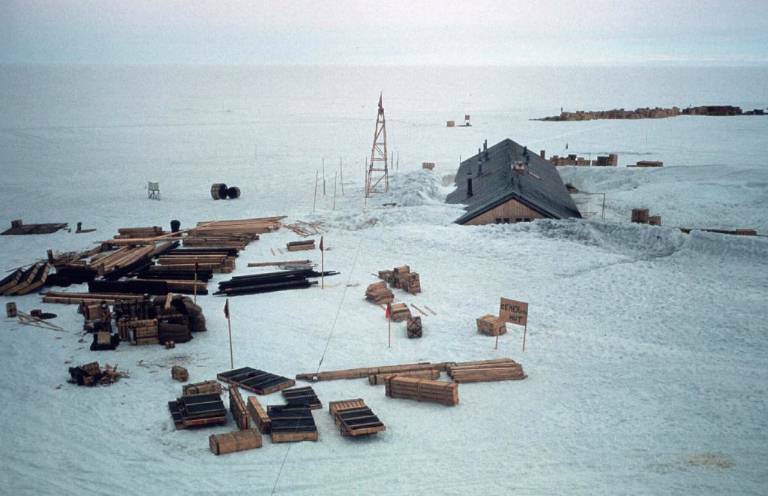 Taken on the occasion of the 44th Anniversary Reunion of the Main Party of the Royal Society IGY Antarctic Expedition to Halley Bay, Coats Land 1956-1969. 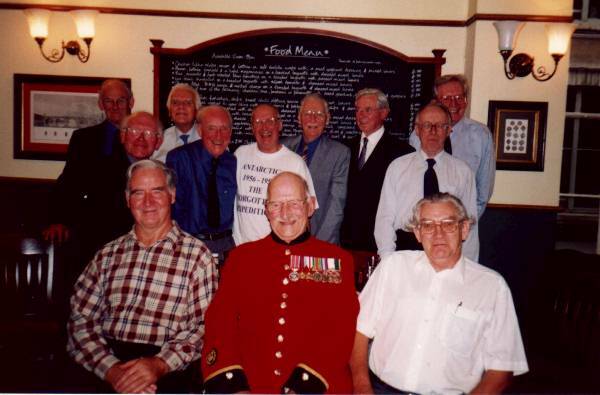 Held on Tuesday 19 September 2000 at The Pontefract Castle, Wigmore Street, London, England. 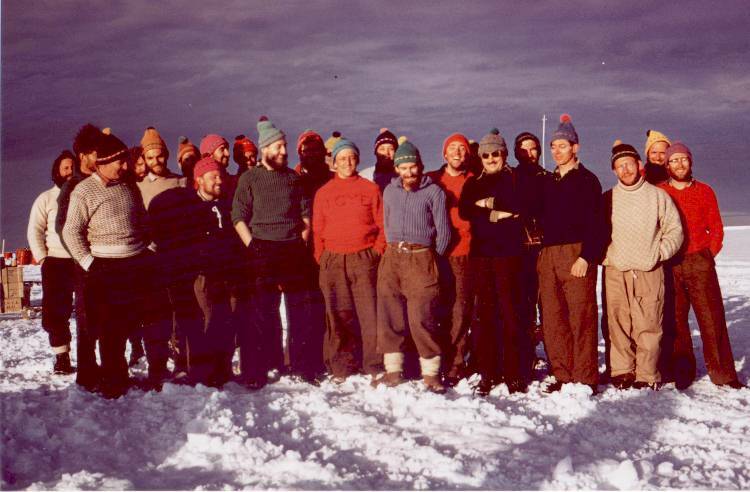 *Former Director of the Scott Polar Ressearch Institute, University of Cambridge, and a shipmate of the expedition on its voyage to Halley Bay in 1956.
members of the IGYE, TAE and a few Base-Z FIDS. 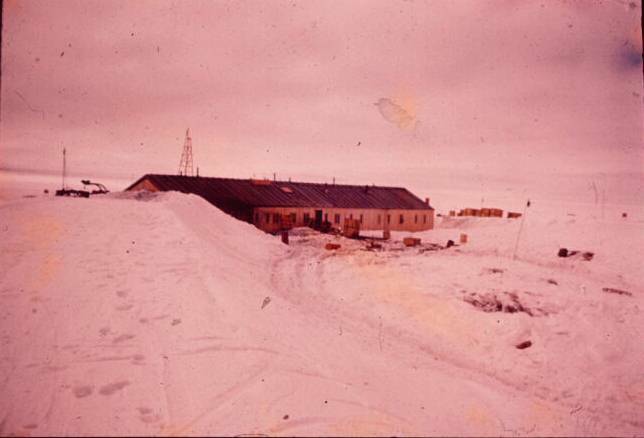 Royal Society base at Halley Bay, established in 1956 for the International Geophysical Year (IGY) 1957-58 showing original living hut after the first winter. From the BAS image library ref: 10003443; used with permission. No unauthorised copying. Erected by advance party showing drift to lee of hut. 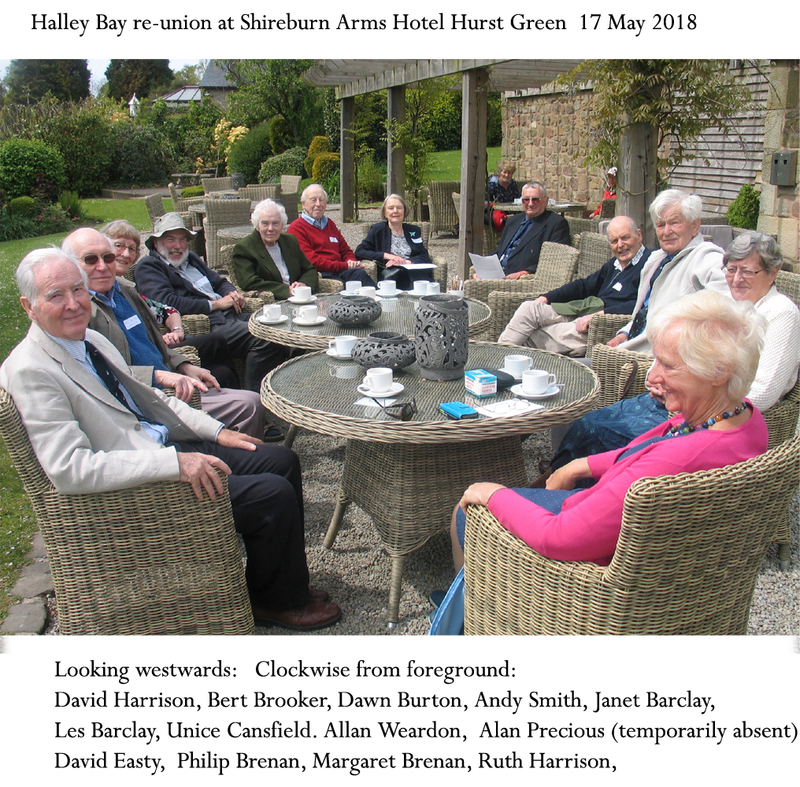 The Big White South Long Ago - a talk by David Harrison. Comments by David. The Halley Bay IGYE Visitors Board. Peter Tribble. The site contains some of his father David Tribble's IGYE pictures.